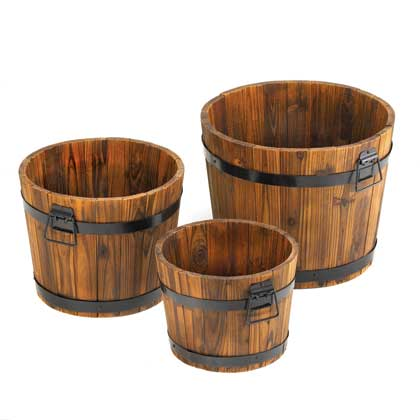 Purchasing a 3 Apple Barrel Planters set is a wonderful addition to any floral display inventory, candy store, bakery and even your home decor. 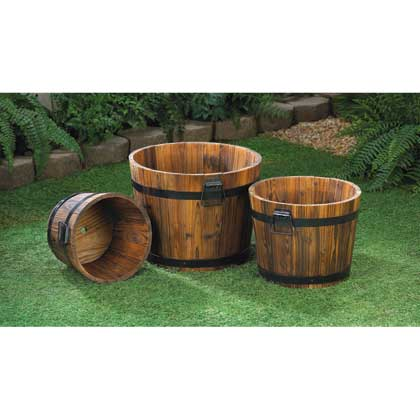 Each barrel is constructed of fir wood materials with the black banding and handles on the sides. With having three different heights and sizes, you can add definition and dimensions to your stylish floor exhibit. When you are shopping for decorations or want to add a little country charm to your special occasion, this set of floral display barrels will add the right touch whether the party is indoors or outside. 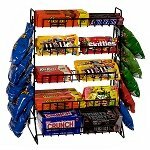 Regardless if you are in the retail business, offer services to clients, or own flower facility, you will benefit from owning this beautiful wooden retail set. Purchase your showcasing barrels today!